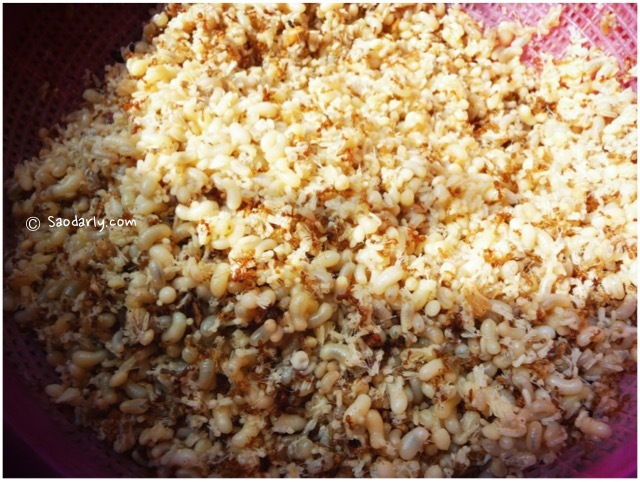 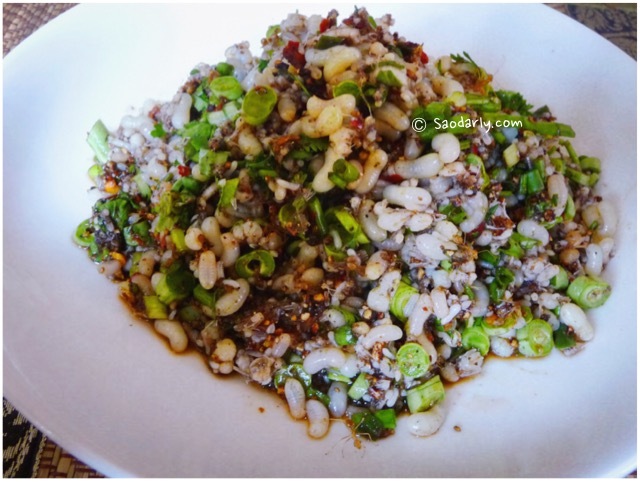 Red Ant Egg Salad (Koy Khai Mod Daeng ກອ້ຍໄຂ່ມົດແດງ, Koy Khai Mod Som ກອ້ຍໄຂ່ມົດສົ້ມ) for lunch in Vientiane, Laos. 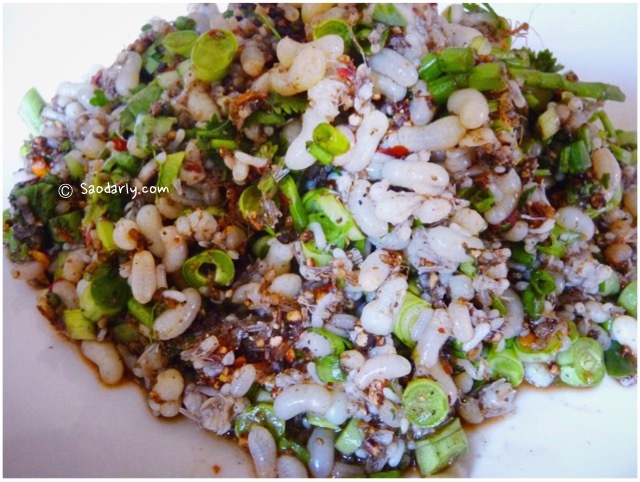 When it’s Ant Egg Season, my two aunts would try to locate as much ant eggs as possible at the local market to satisfy their cravings for Red Ant Egg Salad. 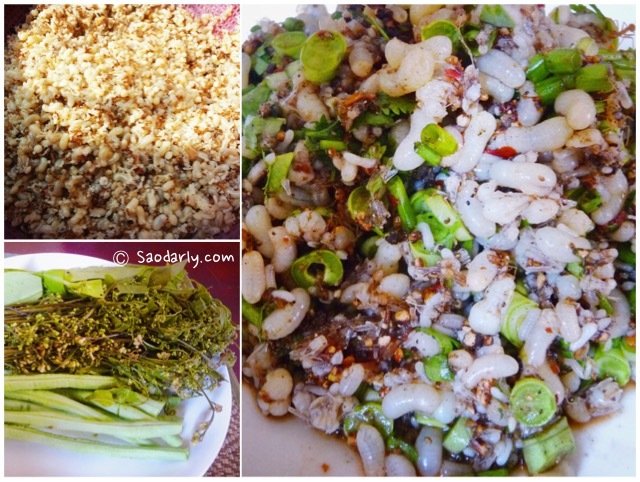 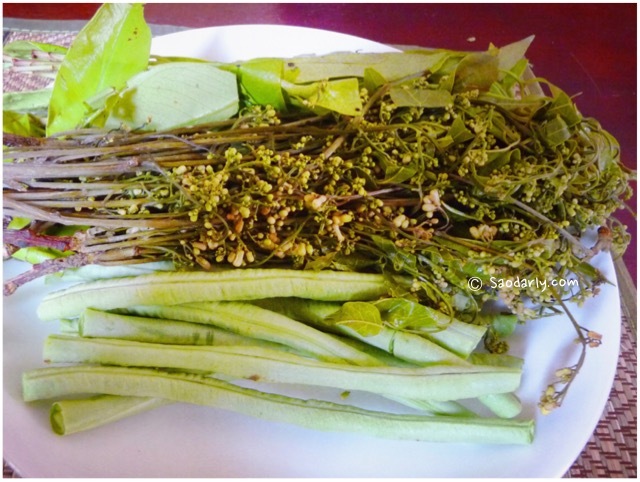 It’s quite a traditional dish, served with plenty of herbs and vegetables on the side and fresh steamed sticky rice.